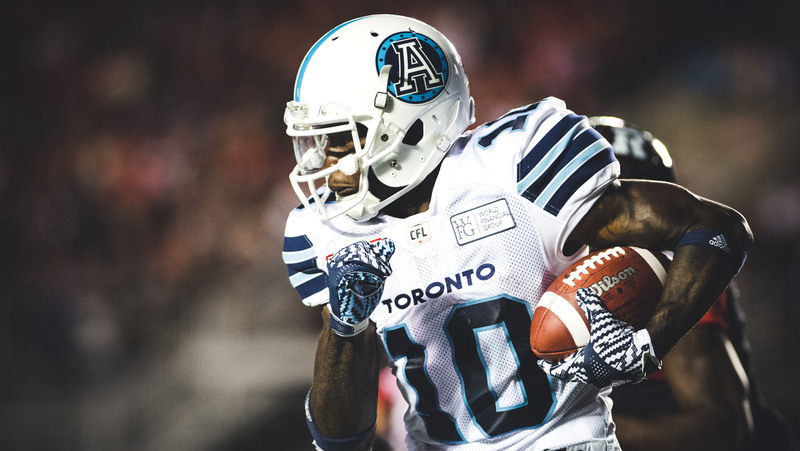 Their regular season was humbling and the the off-season is about to define the next few years for the Toronto Argonauts as they try to hit the reset button on what nobody inside or outside the organization was predicting — a last place finish just one year after hoisting the CFL’s ultimate prize. In short, general manager Jim Popp has to find a coach, plot out the franchises plan under centre and address a defence that was not anywhere near where it was left the year before. A late hire in 2017, Popp wasted no time bringing in his right-hand-man in Marc Trestman to help turn the ship around in short order. Despite finishing just 9-9, the club found traction down the stretch and was able to put together a Grey Cup run many didn’t see coming. A year later and Popp has a long to-do list. The Argonauts are without a head coach after Trestman’s dismissal in November and have 43 pending free agents — more than any other team. How much will the current state of the roster impact Popp’s ability to lure the sideline boss he wants? Time will tell but potential significant turnover could work as both help and hindrance to him. On the one hand, Popp can hand his new coach a clean slate and the flexibility to pick and choose who of the pending free agents he desires. 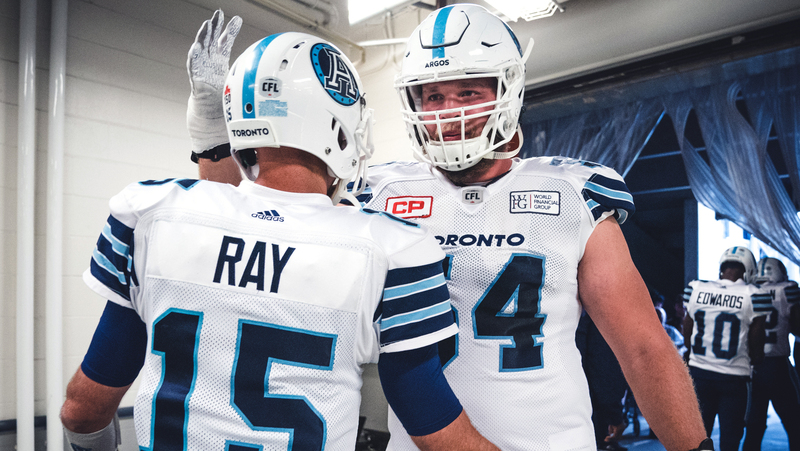 The downside is the status of future hall-of-famer Ricky Ray remains a mystery and neither James Franklin or McLeod Bethel-Thompson made the case to be the runaway choice under centre for years to come. One of two teams with vacant head coaching spots, the Argos have been linked to a number of head coaching candidates including DeVone Claybrooks (who seems poised to sign in BC), Paul LaPolice and Corey Chamblin. Chamblin seems to have the inside track based on nothing else other than he and Popp were spotted taking in a Toronto Raptors basketball game last week after the former defensive coordinator had somewhat fallen off the CFL map in 2018. Speculation has linked former defensive coordinator Corey Chamblin to the Argos in reference to being their next head coach. 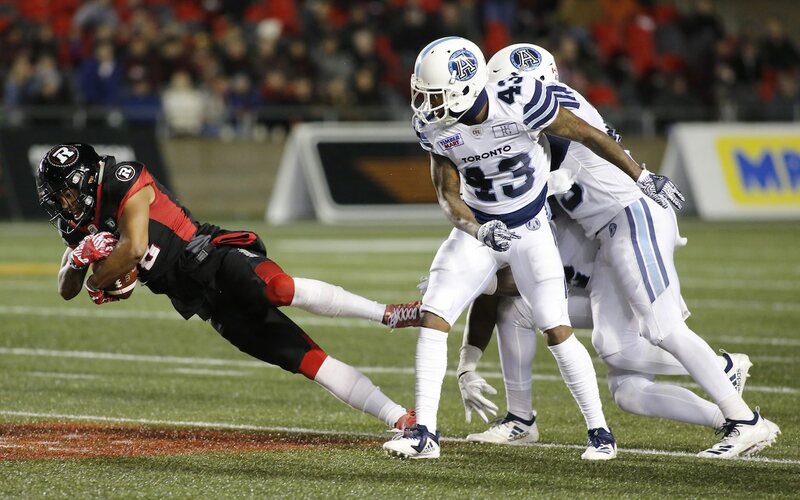 Time will tell if he actually can secure the post or not (Larry MacDougal/CFL.ca). 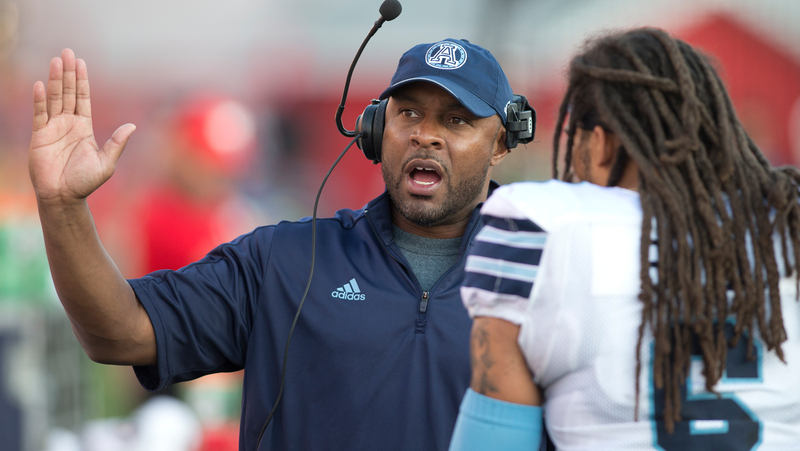 Chamblin spent the 2017 season as the Toronto Argonauts defensive coordinator, defensive backs coach and assistant head coach. Chamblin helped spark the Argos defence on the team’s run to winning the Grey Cup that season. Last off-season, Chamblin left for the NCAA, landing a job with the University of Arkansas. The aforementioned long list of free pending free agents sticks out for the Boatmen but the majority of the starters on the defensive side of the ball. Linebackers Bear Woods, Alden Darby, Marcus Ball and defensive tackle Dylan Wynn headline a group that will hit the market February should they not re-up. There are a lot of players that would fall under the ‘depth’ category on the FA list but that quickly became a priority for the Argos last season after the injury bug bit and bit hard. 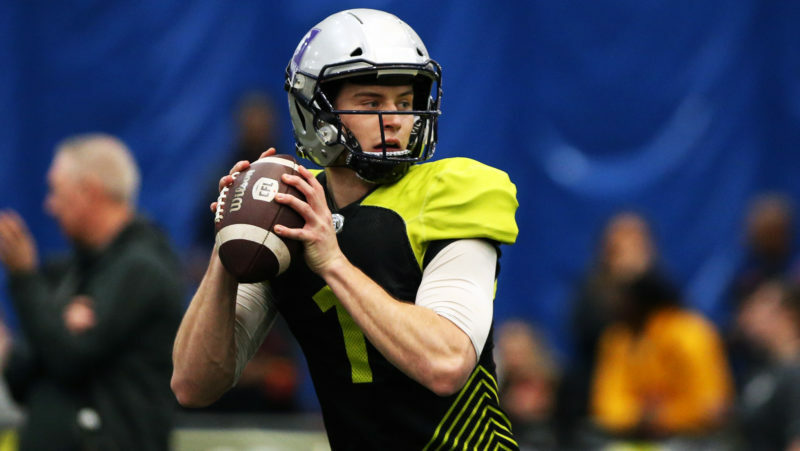 The Argonauts will have the first pick in the May’s Draft which will address their ratio but the cupboard is far from bare regarding quality Canadians. Third-year receiver Llevi Noel made a name for himself in the Argos offence as a reliable target and the team continued to use sophomore fullback Declan Cross both as a blocker and out of the backfield. The Argos are also in good shape along the offensive line where Sean McEwan and Chris Van Zeyl anchor the trenches. Defensively there are some impact Canadians that are eligible for free agency. Jermaine Gabriel has started the majority of his career at safety but has run into injury trouble in recent years. The Argos have relied heavily on Matt Webster and Robert Woodson who are national depth defensive backs that also may hit the market. Does Ricky return? 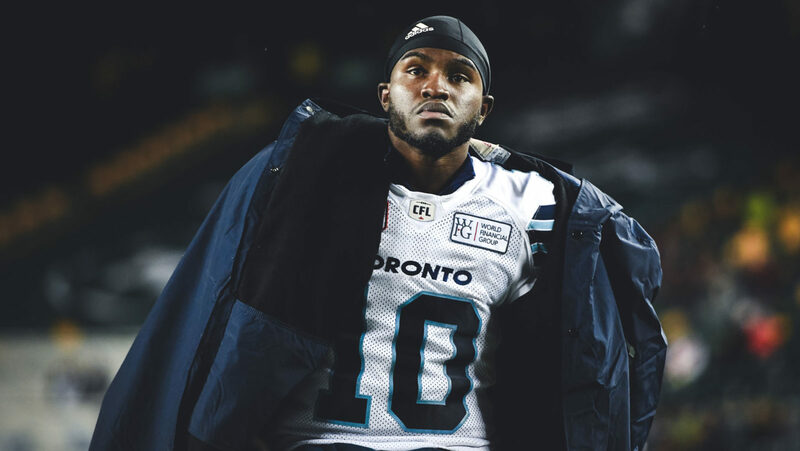 Regardless of whether Ray is back, the Argos need to find a succession plan and unless they go out and actively put money down to sign a pending FA, one of their two other pivots on the roster are going to need to prove that they are indeed that guy. Bethel-Thompson had a hot start but cooled off almost a quickly. Trestman and co. continued to turn to the former UCLA signal-caller until a late-season performance by Franklin forced a change. Franklin showed glimpses of what many around the league believed he could achieve but couldn’t get over the hump in what at that point was a lost season for the Double Blue. Outside of the head coach, this is the Argonauts’ most obvious question mark in the off-season. This is one of the few positions where change isn’t necessarily on the horizon. James Wilder Jr. is clearly the starting tailback heading into his third season and there is solid depth at the position with Branden Burks (should he re-sign) and Dexter McCluster behind him. Anthony Coombs is versatile and will factor into the running game from time to time and Cross has been one of the most productive fullbacks in the game. 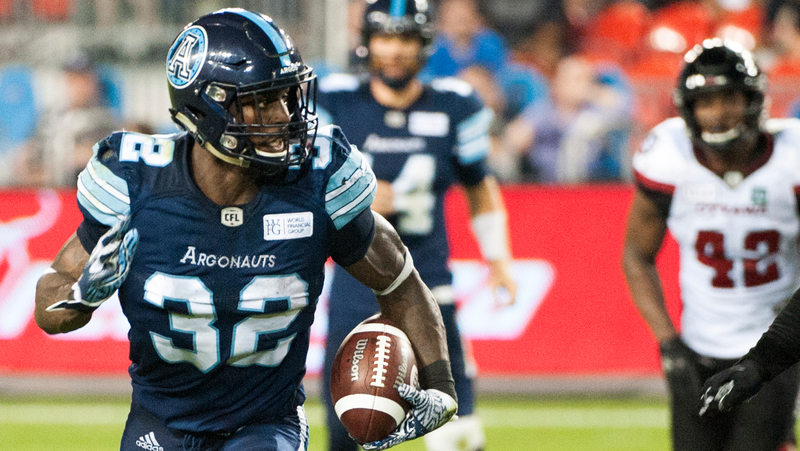 The Argonauts struggled with depth at receiver this season. With the exception of S.J. Green and Armanti Edwards, Toronto was unable to find a consistent group for any quarterback behind centre to throw to. Duron Carter was brought in down the stretch after his release from the Roughriders but was underutilized in Marc Trestman’s offence. The dynamic pass-catcher is a pending free agent and Popp will have a decision to make if he wants to keep Carter in the double blue or let him test the open market. Toronto’s GM will have his work cut out for him trying to rebuild the Boatmen’s pass-catchers if they want to improve on their 4-14 season. The Argonauts had flexibility on their roster last season with plenty of national talent to slot in at offensive line. 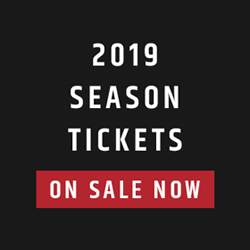 But with four of their Canadians pending free agents – Jamal Campbell, J’Michael Deane, Tyler Holmes and Chris Kolankowski – Popp will need to lock some, if not all, of them down before they hit the free agent market. This position group will be a priority in the coming months. 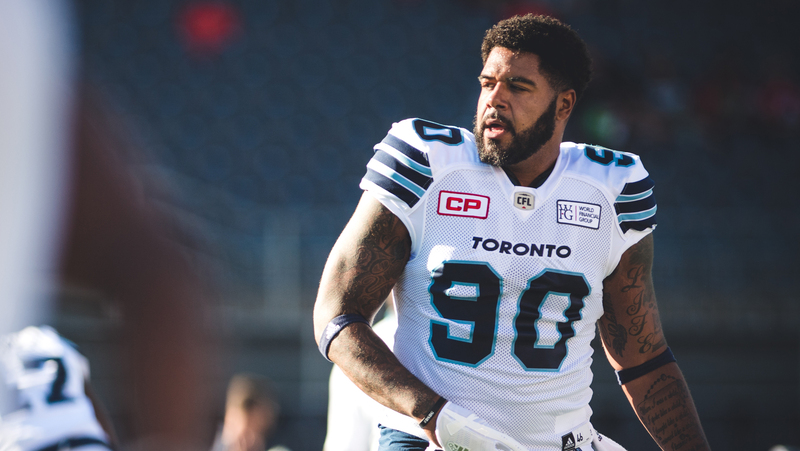 The absence of Victor Butler, who did not return to the Argonauts in 2018, was felt last season in Toronto and the team finished last in the CFL in sacks with 24. 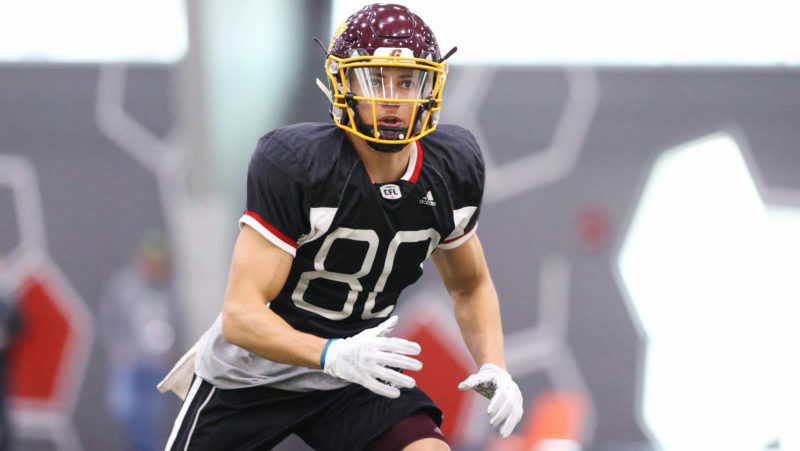 National Cleyon Laing was the staple on the team’s D-line and will return next season but with Canadian Cameron Walker and internationals Ken Bishop and Frank Beltre all pending free agents, work will need to be done on the defensive side of the line of scrimmage. Injuries devoured the Argonauts linebacker group in 2018, especially down the middle. Veteran Bear Woods was injured for most of the season and his replacement Marcus Ball also missed time with injuries. Both are pending free agents and Popp will likely try and re-sign the veterans to start building the group. 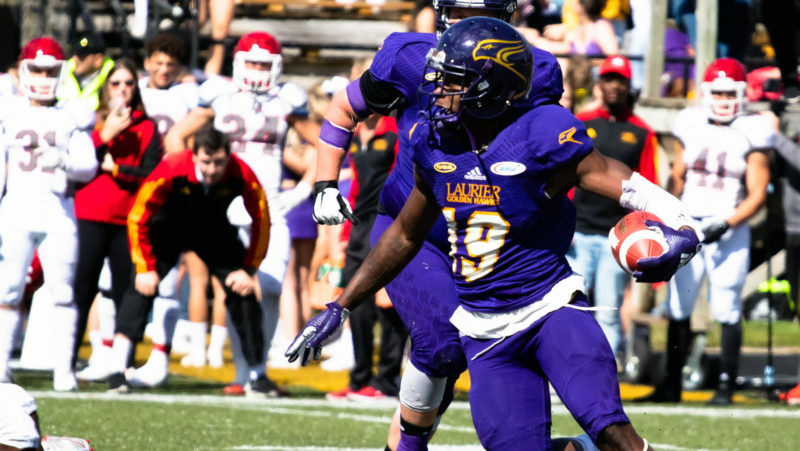 His brother, Jordan, filled in for the injured Solomon Elimimian in BC and impressed everyone but is Justin Herdman ready for a starting role in Toronto? 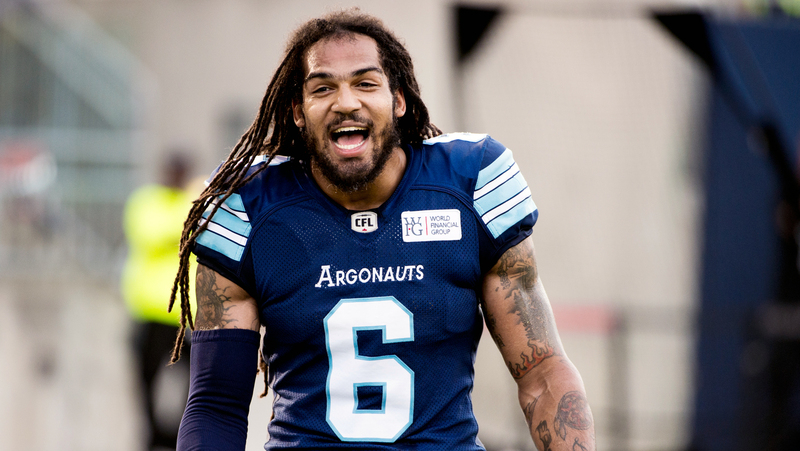 He’s signed on to return next season and perhaps the Argonauts will want to move him from special teams to the starting lineup. Defensive back was yet another position group on the defensive side of the ball that Toronto had numerous injuries on. Starters Johnny Sears Jr., Cassius Vaughn and Abdul Kanneh all missed time at some point in the season with injuries as the secondary struggled to find any consistency throughout the season. While 2017 Grey Cup hero Matt Black is locked in to return to the double blue, Sears Jr., Vaughn, Kanneh and Alden Darby are all pending free agents. Darby will likely be a big priority for Popp this off-season as he was a consistent playmaker for the Boatmen in what was an otherwise forgettable season. 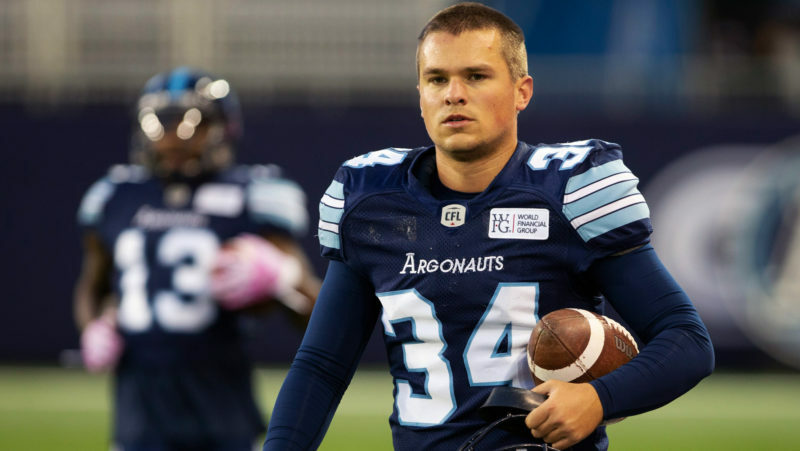 Zackary Medeiros is a pending free agent but with Drew Brown signed on to stay with the Argonauts, Popp may let the kicker walk and test the free agent market come February.